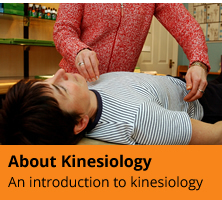 Kinesiology - minimum of 300 classroom hours (40 days) plus home-study, and practical experience within one KF recognised Kinesiology training programme or within two complete KF recognised Advanced Kinesiology courses. Core Subjects (A&P, Nutrition, Interpersonal Skills, Practice Management) - minimum of 200 hours including classroom hours and home-study. Additional hours can be made up from supplementary courses including Biochemistry, First Aid, Communication, Counseling, or Business Administration. 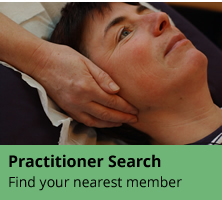 The remaining hours can be made up of any additional Kinesiology training and/or other complementary health training courses. Must hold valid public liability and personal indemnity insurance and accept that it is their responsibility to keep this current at all times. Evidence of a minimum of 4 days (30 hours) of continuous professional development (can be made up of several courses) over a 4 year period of which 15 hours must be Kinesiology based training (k-based). 7.5 hrs of the k-based CPD must be in attendance, the rest can be through reflective practice which needs to include a written statement detailing reflective practice undertaken in the 4 year period. Reflective Practice can include: book reading, personal study, internet research, participation in exploration groups, conferences, meetings and trade sponsored supplement workshops. Members not meeting the CPD requirement will be removed from the referral register and will be re-instated only when the CPD evidence is received and verified. Entitled to use the letters ‘IKFRP’ KFRP (Adv) and the KF logo with reference to KF membership.